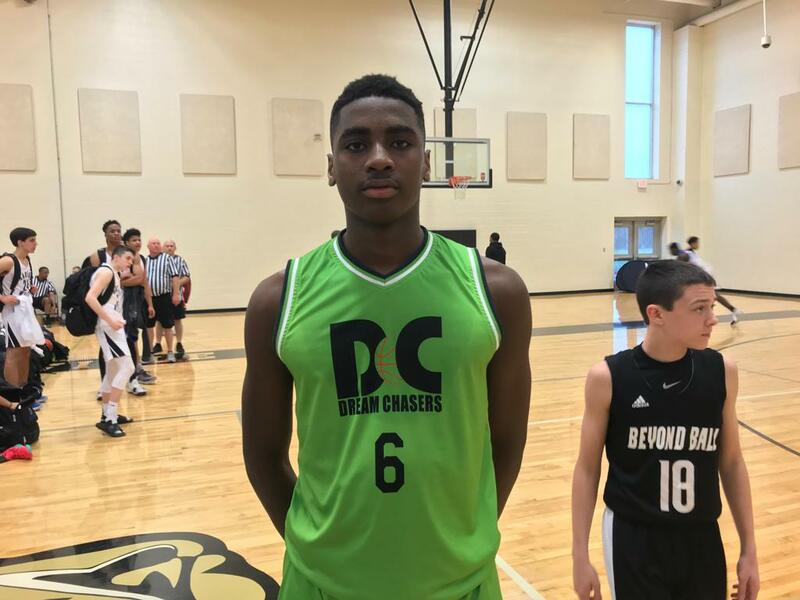 Rashaud Marshall, 2023 F, Tennessee Dreamchasers (14U): At 6'6" with some impressive post skills in his arsenal already, he powered the talented Dreamchasers team with 24 points in their first pool play game on Saturday morning. For his size, he's a fluid prospect who has a lot of potential to continue growing and expanding his game to include some perimeter components in the future. Caden Miller, 2024 Post, AAO Flight (13U): Standing 6'3" with significant length, the big man helped power his team to an early win over a talented Showtime Lakers team in pool play. the lefty has nice touch around the rim, rebounds well & plays with a non-stop motor on the floor. He'll continue to be monitored throughout this weekend and beyond. Reed Sheppard, 2023 G, Darius Miller Elite (14U): The son of former Kentucky legend Jeff Sheppard, the bloodlines run strong for the talented guard prospect, who knows how to score the basketball. His ability to use both hands in traffic around the rim was quite impressive Saturday morning, and he'll continue to be tracked this weekend.